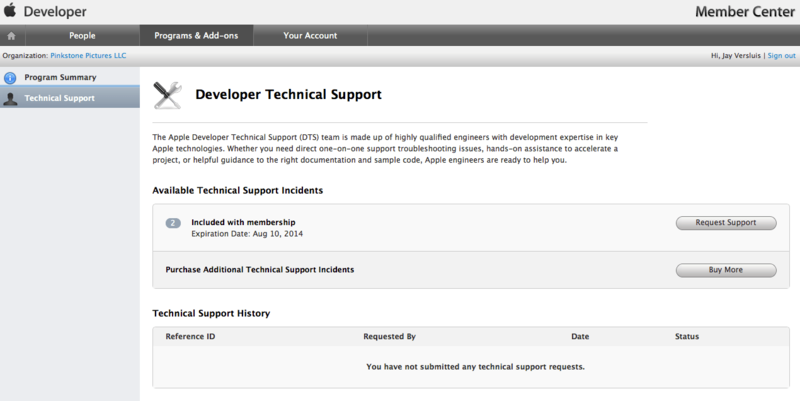 I didn’t realise that Apple offer professional support for people like you and me. An engineer will work directly with your problem on a per-incident basis, for only $50 per session. This is an invaluable resource if you’re stuck with a problem that neither forums nor Google can solve. You need to be an Apple Developer to make use of this. I understand this isn’t meant for basic questions, but if you can’t figure out why xyz happens when it shouldn’t, perhaps these folks can help you out.